CAIRO: Egypt denied Thursday media reports claiming that the reservoir of Ethiopia’s controversial Renaissance Dam is being filled with Nile water and has caused water shortages in Egypt’s major cities. 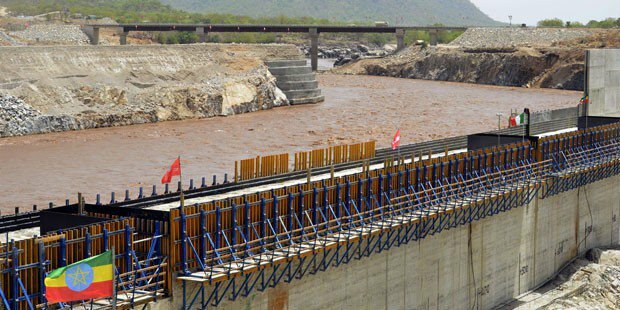 Egyptian Minister of Irrigation Hossam Moghazy said Wednesday in a statement that the ministry is following up construction works of the Ethiopian Dam and confirmed that the dam’s reservoir has not been filled with water, citing to satellite images taken in mid-September. Ethiopia and the two downstream countries (Egypt and Sudan) agreed in March that operating the reservoir will only start after studying the environmental and economic impacts of the dam on the two countries. The construction of the dam has been a high-priority issue for Egypt’s government, which has raised concerns it would negatively affect its water supply. 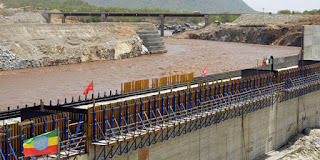 Ethiopia has claimed the dam is necessary for its development; both states agreed to tripartite talks that started in August 2014 and have been hosted by Sudan. During the August talks, the Tripartite National Committee (TNC) agreed to choose an international consultancy firm to evaluate the dam’s effects. The committee of the three countries assigned French and Dutch offices, BRL and Deltares, to conduct the studies; however, Deltares withdrew citing TNC and BRL’s failure to provide sufficient guarantees to transparent studies. Last week, certain areas in Cairo and Giza suffered water shortages due to low Nile water level available for water plants, according to the Ministry of Irrigation. Moghazy said that the ministry increased the water level by 35 centimeters to reach 16.45 meters; this increase is estimated at 20 million cubic meters of water, he noted in a statement Thursday.